Return To The Moon, Moon Resources, Is It A Good Thing? Should the US go back to the moon, what is driving us to repeat this lofty goal, and how would such a thing benefit us? Many of us who are too young to remember much of the moon landing, I was ten when the last one was done, remember the grainy video’s of the men on the moon, heard the words of Armstrong on the first moon landing, “That’s one small step for man; one giant leap for mankind.” Like all things, this comes with a hefty price tag, are we willing to do do this all over again, and how would doing this benefit us? The Apollo program was set up to aid America being the first nation to plant our flag on the moon. We had at that time been in a neck to neck race with Russia, a race that we were losing more than winning, national pride was at stake, President Kennedy had given the nation a goal, one that we were determined not to lose, and something the Soviets were far too happy to compete with us on. Today we are in the same type of Race, only the other player has changed, no long is the USSR part of this, they don’t even exist any longer, today it is China, and things are heating up on this front. The greatest concern always comes down to cost, the Apollo program was nothing more than a trip to the moon, pick up samples and then come back home. For the 1960’s that was a very ambitious goal, mankind had just taken his first flight just feet above the ground less then 60 years before this, we had gone from that to wishing to fly men to the moon, land, grab samples and bring them back, but what was the cost of this? The cost is given, and it is hard to give detail to the penny, for there was much peripheral research being done, everything from exotic materials to computing, all needed to be worked on not just for this program, but also ended up benefiting all of humanity. The cost given by most experts is given at $25.4 Billion (1969 dollars); $145 Billion (2007 dollars). But much as changed, in the Apollo program we had no moon rocket, no moon lander, did not even have the tech or knowledge on how to build one, we needed to figure out how to power the craft, thus research on fuel cells went into high gear, how to work with exotic materials to reduce weight, things that have gone on to benefit all of mankind, and let’s not forget the most important thing, TANG. 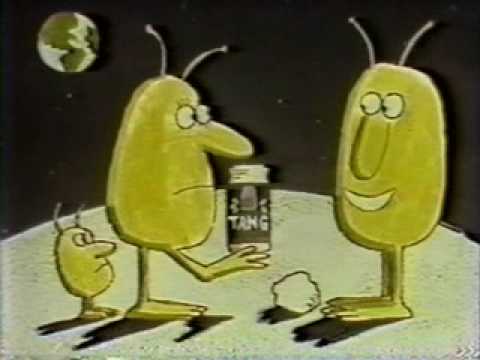 Oh, the memories of Tang, I was a wide-eyed back then, not even in my teens, yet when my mother made us a glass of Tang I knew I was drinking the same drink the astronauts were drinking, I was practically one. My father used to tell us, when we were his age, he was 33 years ol, we would most likely be living in colonies on the moon, would have a whole fleet of space planes to take us there, and a network of space stations around the world and the moon. I am going to have to call him now, he lied to me I am in my 50s, fat, and so out of shape, I think they would not even let me by a spacecraft. But back to space. If we went back, doing the same thing I think would be a waste of time, turns out NASA seems to think the same thing as well. What they are proposing is to first set up a space station, one that is smaller in dimensions then what we have now, and would be placed in lunar orbit. This would be built in partnership with Russia and our partners that helped with the Space station we have now. Our astronauts could dock with it, I imagine they could put a lander docked to the station, have the means to refuel these landers, have the station hold the astronauts, maybe a team of scientist that could study the moon from orbit, then go down to the surface, but what then? 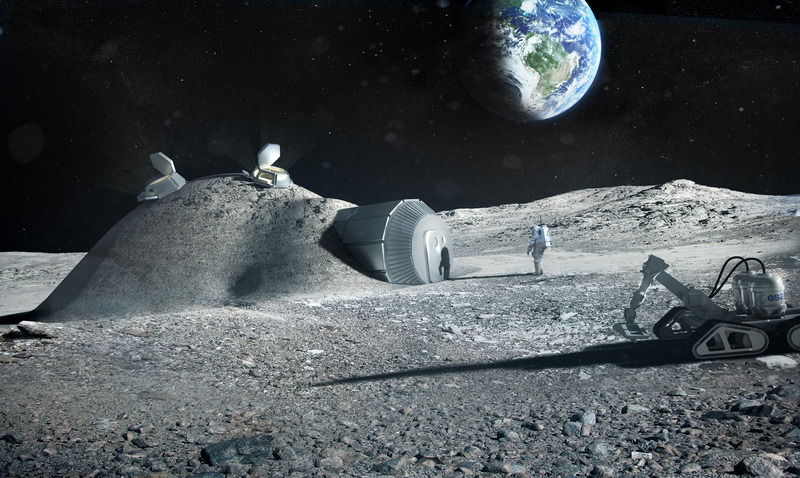 I think just visiting the moon would be a waste of time, if we are going to go back we need to go back with the intent on setting up both a permanent base, also to look at the means of pulling resources from the moon. One of the largest problems with going on to Mars is the need of fuel for such a trip, we are looking at about a year or more each way, there is no way to use slingshot trajectories like we see some of the robotic spacecraft using, the length of time would not make this viable. What is more needed is a lunar or moon base, one preferably near the poles, there has been water found there, something that could be mined for the astronauts living there, also could be seperated to create fuel, thus you could fuel up a rocket headed to Mars from the moon, due to the Moon’s gravity is 16.7% of earth gravity, that means to escape lunar gravity would take far less fuel then it would do from the earth. But why else would we set something up on the moon? The first thing would be to set a base where people could be housed on permanent bases. Due to the lack of any protection from solar radiation, we would have to look to burying any lunar base under lunar soil. This is where I get to nerd on when we look at the amount of radiation, we are looking at radiation output being 50 to 100 roentgens per hour. At 10 roentgens per hour,humans have 50/50 chance of survival. Many astronauts have told of feeling the effects of the radiation at 300 miles out. 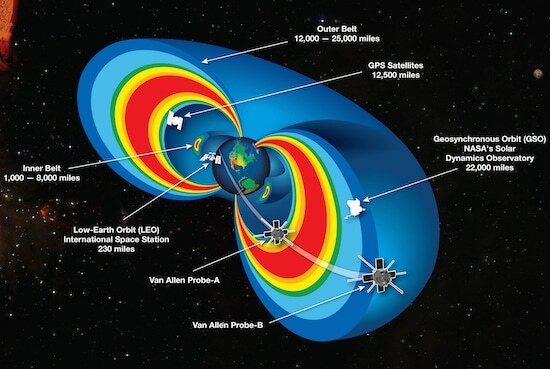 I grant that a spacecraft, even a lunar base would offer some protection from this radiation, but even if you reduced it to a 25/75 chance of getting a lethal dose, would that be acceptable, so they have to do something to add protection, that is either dig in the ground or use the ground to cover your structure. We would face the same problem sending astronauts to Mars, any craft would have to both figure out shielding for the average radiation, and if there were a solar storm, they would have to have a section of the ship much more heavily shielded so the astronauts could escape exposure to this, but I digress. Mining is a great tool we could use on the moon, one of the things the moon has on it, and it could make the whole venture profitable, it is Helium 3. Helium three is thought to be in abundance on the moon; one of the advantages of it is that you could split the atoms as you due is a Fusion reactor. With most materials doing this you end up with a highly radioactive element, with this you would not, although experts argue if due to the heat needed to due to this you would not render other material around the fusion radioactive. This could set up a new energy race, one that could potentially replace what we are using now. With little radioactive waste, and that could be reduced to zero, we could see energy supplied at a fraction of what it is now. And this does not even bring to the front the ability then to produce the same energy on the moon, you could sustain all energy needs there as well. Between mining for Helium 3, harvesting water off of the moon, this could make such a base both self sustaining financially, and would provide a great stepping stone into the unknown.